Categories: Whisky Distillery / Brand, Bushmills, Region, Ireland, Bushmills, Age, No Age Statement, Price, $100 to $150, 1 Litre Bottle Bargains. 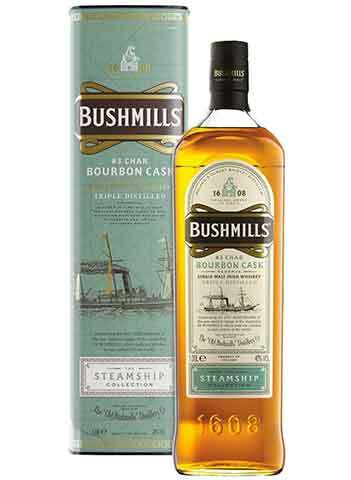 The third expression released in this series, Bushmills Bourbon #3 Char Cask Reserve is the result of a long-standing relationship with master coopers from Louisville, Kentucky who reserve only the finest American white oak, custom-charred bourbon casks to mature this unique whiskey. The amount of char you give a cask has a significant impact on the flavour and this is what makes Bourbon #3 Char Cask Reserve so special. A honeyed maltiness and notes of toasted oak, spices and creme brulee with a long, rich and smooth finish.